Former Aviation Minister, Femi Fani-Kayode has described the decision of Ounba Gbenga Daniel to join the All Progressives Congress, APC, after the presidential candidate of the Peoples Democratic Party, PDP, Atiku Abubakar was rigged out during the last election, as tragic. 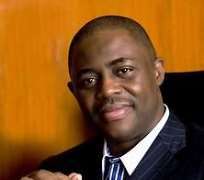 Fani-Kayode, who reacted on his Facebook wall on Monday morning, said bitterly that Daniel’s betrayal of Atiku was very sad. “For the first DG of Atiku’s Presidential Campaign Organisation and his closest confidante in the South West to dump the PDP and join the APC even before the conclusion of Atiku’s election petition is sad. “For a man that was gunning to be Sec. to the Federal Government in an Atiku govt. to join Buhari after Atiku was rigged out is tragic!” he said. Fani-Kayode also spoke of some other betrayal, saying that “For a man that was Atiku’s spokesman to say he was not a member of the PDP but still a member of the APC 3 days before the presidential election was sad. For that man to have won only 2 votes for Atiku in his polling booth and lost his ward and LGA to the APC and Buhari during the presidential election is tragic.